Need something fun to do today? 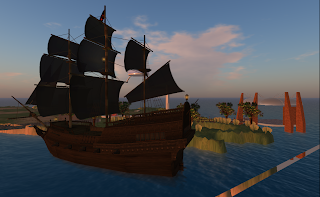 Head over to Literature Alive's Rime of the Ancient Mariner build at Drexel Island! MANY MANY MANY thanks to Jean-Claude Bradley at Drexel for providing land sponsorship to Literature Alive!!! Among the builds that Literature Alive! still operates, the Archetypal Cave is among the list of the living. Visitors can learn about archetypal literary theory and the quest of the hero. In a classroom, it is an engaging and interactive lab full of hunts and student-created content. Alone, however, it is a pretty dish with stale candy....pretty to look at, but a little dusty. Right now, Eloise and I are finishing a how-to chapter on building a viable workspace. This comes at a time when we have lost more than 50% of our donated land because the owners have given up. 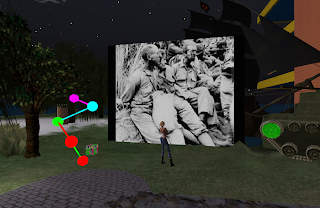 What can I possibly tell businesses about Second Life when we are holding on to Literature Alive! by a simple thread? Should we pack it in? The thought has occurred to me on more than a few occasions. The virtual dream was the same. I started Literature Alive! alone as an alternative to the crappy content that can be found in SL. Literature Alive! would have died without the scripting genius of Eloise Pasteur, and since she came on board, we have celebrated all sorts of successes for over 2 years now. The students that have gone through, most notably Daliah Carter, have become proficient communicators. Daliah is such a success story...an adult learner gone from sewing factory worker to newspaper editor. She never planned to be a writer., but Second Life gave her a chance to write publicly. It is for the the Daliahs of the world that we need to keep on track. That said, we do need some fresh air; we to open the windows in our virtual world and kick out the rugs. Once the light cracks through the dust, we can see what it is that makes us love virtual worlds. Eloise and I have been kicking up the rugs, and underneath the dust, we are finding the gems that have made us strong. The content, the builds, and the documentation have all been strong since the first prim was raised in the name of Literature Alive! While things might be dusty, the is solid. There is no structural damage. There has been no weathering. Jean-Claude Bradley (SL Horace Moody) is donating some of the land at Drexel Island to Literature Alive! In real life, Jean-Claude is one of the most inspirational people I know, but he has now become that open window of fresh air for my virtual life. Literature Alive! is organic, much like the chemistry he teaches, and it relies on constant care, examination, and experimentation. Alone, the structures are just molecules, but adding the chemistry of intellect and passion will be the air that is much needed for us to stay successful in SL. 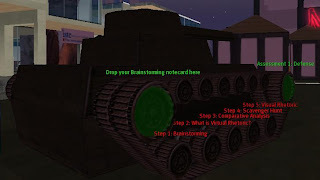 What makes SL the tool of choice is its ability to connect people together - the collaboration of many for the sole purpose of educating others. OK, so we have let ourselves get dusty. There are always Pledge and Old English. We need to grab our rags and polish and get to work. It is time for Spring Cleaning!